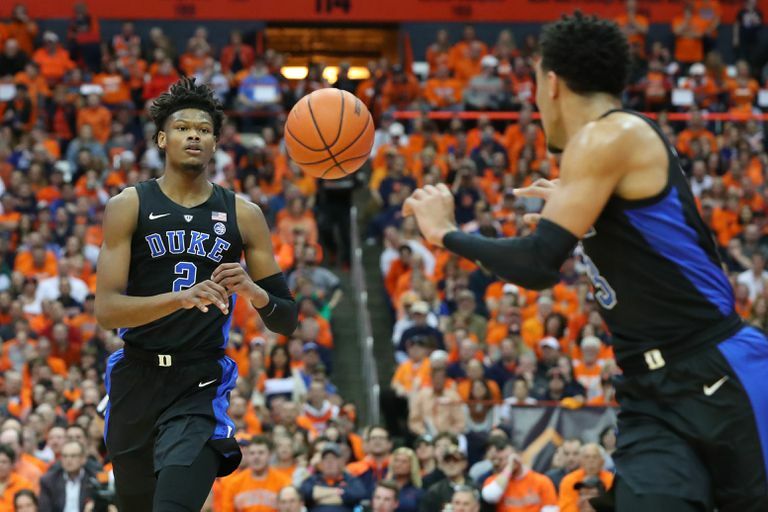 March Madness airs on a combination of CBS and three different Turner cable stations in 2019. You'll be able to catch every single one of the 67 games if you have a Turner-heavy cable package, but the streaming picture is a little more complicated if you're a cord cutter. We'll show you how to get everything set up in the most painless way possible, so you won't have to miss a minute of the action from the first four in March to the final four in April. If you only want to catch a game or two here or there, you can watch at least some of March Madness on your local CBS station. If you want to watch everything, or at least have the option to, then you'll need to make sure you have access to CBS and three different Turner cable stations. CBS is available through CBS All Access, and you can get TBS, TNS and truTV through cable replacement services like YouTube TV and SlingTV if you choose the right plan. Get a free trial of CBS All Access now! Since March Madness games are split out between four different broadcasters, the streaming picture is pretty complicated. If you want to catch every March Madness game, you have to make sure that you also have access to CBS, TBS, TNT and truTV. These channels are available through a variety of streaming services. Services that carry TBS, TNT and truTV do so regardless of your location, as long as you're located in the United States. Services that carry CBS, on the other hand, only make it available in specific markets. For most people, YouTube TV will represent the best option for streaming March Madness. It includes TBS, TNT and truTV, and it also offers CBS in the most markets. Most of the other options are also viable, but they are less likely to include your local CBS station. The worst March Madness option, for most people, is fuboTV, since it doesn't include TBS, TNT or truTV. CBS availability is based on your physical location. YouTube TV has the best coverage, but you'll need to check out each individual service to see if your area is included. If CBS isn't available where you live from any of these services, then your only option is to subscribe to CBS All Access in addition to a service like YouTube TV. CBS All Access is a streaming service that includes live access to CBS in addition to on-demand access to the entire back library of CBS shows, including exclusives like Star Trek Discovery. If you aren't able to access CBS through any of the online streaming services due to your location, then CBS All Access is your only option. There is a monthly fee for this service, but CBS All Access does offer a free trial. So if there's a specific game you absolutely can't miss, but you don't want to pay for a subscription, keep that in mind. Navigate to CBS.com/all-access, and click Try it FREE. Select your plan, and click CONTINUE. Enter your information, and click CONTINUE. Enter your billing information, and click START CBS ALL ACCESS. If you don't cancel your subscription before the trial period ends, CBS will use this billing information to charge you. Return to CBS.com whenever a March Madness game is live on CBS, and you'll have the option to watch it. We're providing links for CBS All Access and YouTube TV because those are the best options for the most people, but the other streaming services also offer mobile apps if you opt to go with one of them instead. If you aren't able to use any of the official sources that we have provided above, then Ace Stream is the next best option to stream March Madness games. Ace Stream is media player software that plays streams provided by other users, so you won't always get the best quality video, and it can be difficult to find a good stream. The trade off is that it's free. To stream March Madness games through Ace Stream, you first need to download and install the software. If you haven't done so yet, then you may want to check out our guide to streaming sports online with Ace Stream. Once you have installed Ace Stream, the final step is to locate a content ID for the game you want to stream. A content ID is like an address that the player uses to find the stream. Ace Stream content IDs are free. Do not pay anyone for a content ID, and be careful when visiting sites that offer content IDs. Don't click on any suspicious links or ads, and consider installing a good ad blocker. If you can't use the official options, and you aren't able to find any good Ace Stream content IDs, then the option of last resort is to use an unofficial site. These sites gather together links and videos of sports games, including March Madness. Quality varies greatly from one to the next, but they all tend to be filled with intrusive advertising. Before visiting these sites, you may want to install a good ad blocker plugin. For more information about these websites, check out our full guide to streaming free sports online. Websites that feature unofficial sports streams, or provide links to these streams, are ad supported. These ads tend to be invasive, and often misleading, so avoid clicking anything. You should also install a good ad blocker before visiting any of these websites. Even then, be aware that ads can be cleverly disguised as system messages indicating you need to update your browser, Flash, or other components. Clicking these ads may open your computer up to malware. Note: Our editors independently research, test, and recommend the best products; you can learn more about our review process here. We may receive commissions on purchases made from our chosen links.